The number of cars discarded rose from 26% in 2016 to 28% in 2017 due to tougher requirements on polluting emissions to protect the environment. The Asociación del Polígono do Tambre paid tribute to four companies that have been members of te association for 25 years. The entity celebrated an homage event at the meeting room of the headquarters in the Centro Empresarial de Tambre where the guests were given a certifying parchment paper and a small gift. The event was chaired by the Conselleiro de Economía de la Xunta de Galicia, Francisco Conde. The center has cutting-edge technology, pioneering in Spain, which will be exported to the Costa Rican subsidiary. The new vehicle inspection facilities recently opened by Applus in O Carballiño -after the recent acquisition of ITV’s network from Inversiones Finisterre- are more sophisticated and with cutting-edge technology. 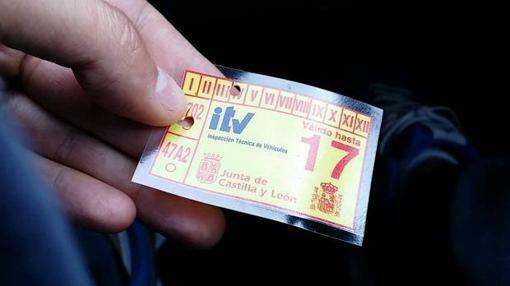 They add the twenty-sixth number to the existing ones in Galicia and have been endowed with a budget of 1.1 million euros that enable it to carry out more than 12,000 controls each year. Amalia Campo, the driving force of Son Capaces, a pioneer PTI Project in Galicia which welcomes the labour integration of men and women with functional diversity, got excited when she remembered the important role of the Project Son Capaces, in which she collaborates. “All my colleagues are the ones who really deserve the prize”. Furthermore, apart from being grateful for this recognition, she dedicated some words of congratulation to the enthusiasm and determination of Amador de Castro, the pioneer of the project eighteen years ago. The Council of Ministers will address this issue of control regulation for cars by 2018. Last Friday, October 13th, we dedicate the weekly SYC space on Radio Voz to the Son Capaces project. Mercedes Olmedo, Director of Human Resources and Antonio Fernández, Tambre’s PTI ordinance, joined us on this occasion. We’ll leave you the full audio of the show! Alberto Zalvide, assistant to the General Manager of Supervisión y Control, participates in a Workshop in the field of the Congress EAEC, showing the results of the inspection of exhaust emissions in Galicia. Aid has barely helped to rejuvenate a still highly polluting fleet of vehicles. More info in La Voz de Galicia. During the inspection, up to ten sections of each car are checked.